Inside: Do you have a reluctant reader? Here are four tricks to get reluctant readers to want to read, and the best books for a reluctant reader to inspire them to want to read more. Last night, I had to go in and “threaten” to take away my daughter’s book and her lightbulb because she wouldn’t stop reading. It was way, way past her bedtime. I have the opposite problem with my son. I have to beg him to read. When he was a baby and a toddler, he loved to climb into my lap with stacks and stacks of board books. As a preschooler, he would climb into bed with stacks and stacks of pictures books to look at. But now that he’s in elementary school, the stacks and stacks of books sit in his bookshelf. Because now that he’s expected to read, he’s doesn’t like to read. Maybe it’s because he wasn’t great at it right away. Maybe it’s because as a teacher him needing intervention annoyed me so we started working really hard on his reading skills after he completed his homework. Regardless, I want him to read. I need him to read. But I also want him to LOVE to read. Because there’s magic in books. There’s magic in learning information. There’s magic in stories. And there’s magic in sharing in someone else’s imagination. So I went on a hunt to find him books to help him learn to read. And to help him learn to love books again. These books aren’t the most exciting books, but they’re simple and gave my son the early confidence he needed to read a book independently. And confidence is everything. 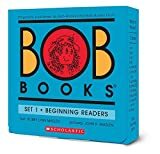 Bob Books– I have used these books to teach all three of my kids to read. There’s also a great app that goes with it! 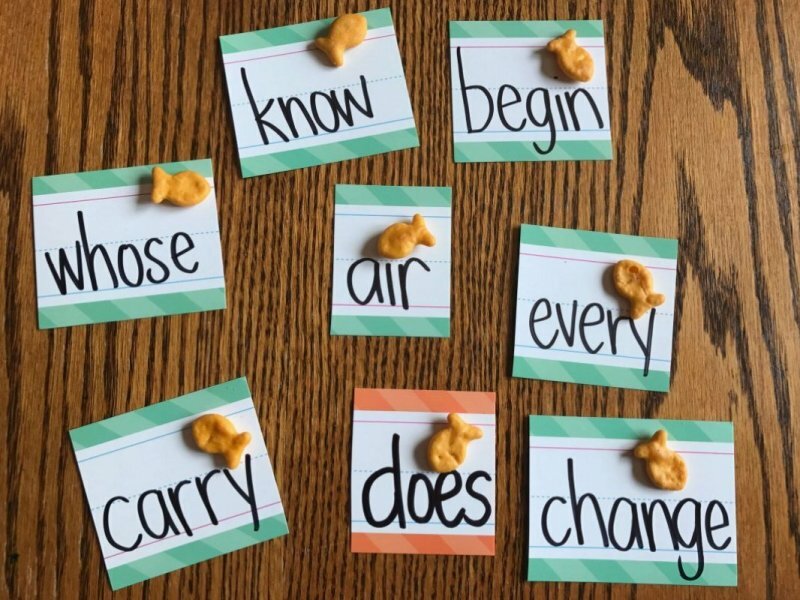 We also use goldfish-my son’s favorite snack- to learn and practice his sight words. When he reads a word, he gets to eat a goldfish. Knowing sight words makes reading books so much easier! One simple trick for helping reluctant readers is to find them a series to love. Because when they fall in love with a series they can get excited once and continue on with other books. You’re not constantly searching for the next book to love. The second trick is to not “make” them read all by themselves. It can be too intimidating. So as my son was learning to read, we would, of course, read books together. I would read the words he didn’t know yet and the words he couldn’t sound out. But I would pause at any words he knew or could “attack” so he could read. 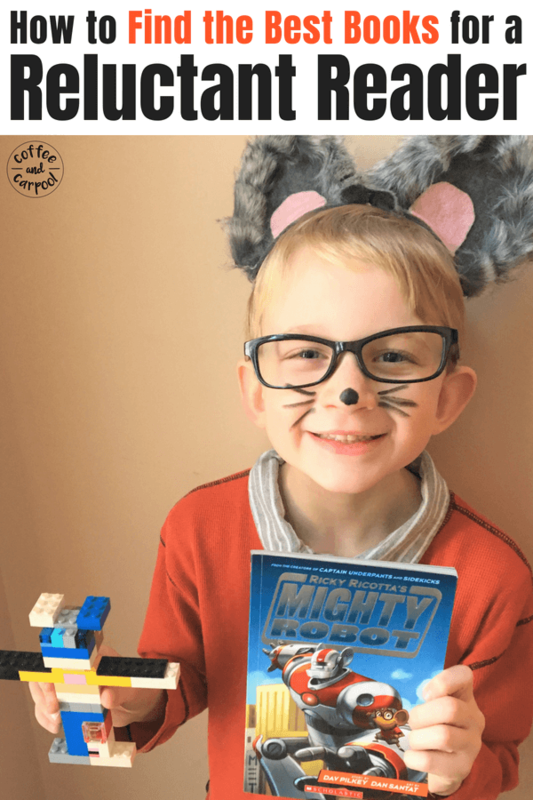 It helped build up his confidence about reading without getting frustrated. Another family favorite trick- we have books everywhere. In every room of the house and in the car. My husband and I read often and make sure our kids see us read. They know it’s something we do as a family. Modeling reading is a powerful thing for a reluctant reader to be around. But our main trick to get kids to want to read more is to let them pick out the books themselves. I can devour a book I chose out in a day, but books assigned to me by teachers or professors always felt more tedious to read. So visit used bookstores, and new bookstores, and libraries with your child. Attend school book fairs, and purchase from the book order forms teachers send home. Offer to buy your kids a book of their choosing-no matter how much you like or dislike their choice-whenever you can. Ice cream and a used bookstore trip for us to each buy a book is one of our favorite family dates to connect with each other. But if you need some inspiration of where to start or which books to suggest to your reluctant reader, these are the books my reluctant reader fell in love with, in order from easiesr to more difficult. Fly Guy- Pretty ridiculous, but my son loved the ridiculous of a pet fly. Elephant and Piggie– Simple, yet funny, even for adults. I love everything about these books. You are Not Small- This was the first book my son could read independently and he was beyond proud of himself. Morris and Boris Series– These”old school” books always made my son crack up over Morris’ misunderstandings about the literal meanings of words. 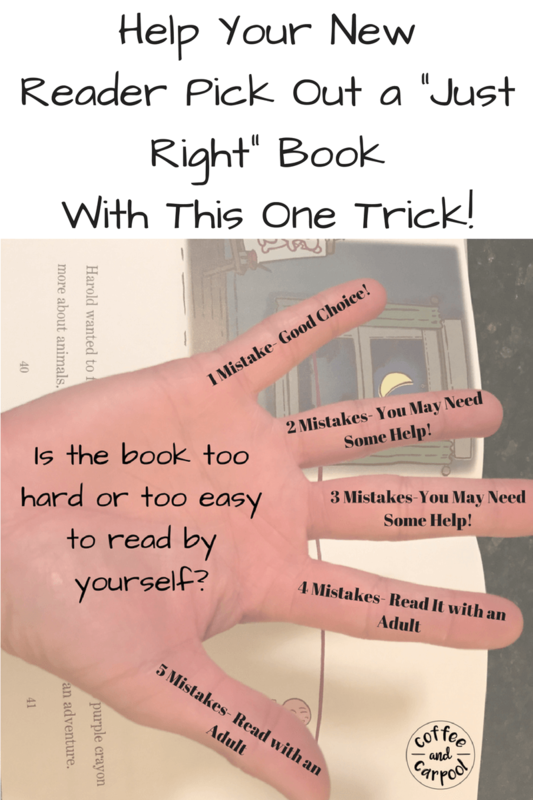 Flat Stanley– Simple chapter books that my son could finish in a few nights made him feel accomplished. It got him to pick up the next book. 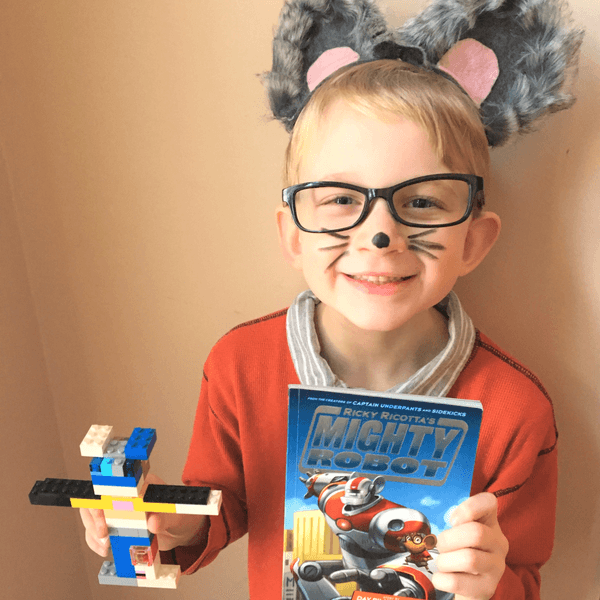 Ricky Ricotta” Mighty Robot– This was my son’s first real chapter book that got him excited to read the next book. The Flip-O-Rama’s were the highlight of the book and he came running into my room when it was time to read these. I will forever be grateful to Dav Pilkey for this book. It changed my son’s whole perception of reading and books. He even dressed up like Ricky Ricotta and made his sidekick, the Mighty Robot out of Legos. My son and I still read books together every day and often trade off who reads, page by page. It gets him through the chapter with less complaining, and we finish the book faster. Captain Underpants– Gross, ridiculous humor about exploding toilets and principals hypnotized to wear just their underwear and a cape, but whatever. It gets my son to read independently. Plus, there’s a movie so my son knew if he wanted to see the movie, he had to read the book first. I’ve never seen him read so fast. My Weird School-Most of the jokes went over my son’s head in this one, but he still thought it was pretty funny. Ballpark Mysteries– My son loves baseball so finding books about baseball and baseball fields makes reading more exciting. Especially if you choose a book that showcases your family’s favorite baseball team. Sideways Stories from Wayside School– This book is just weird. So my son loved it. Teachers that turn kids into apples and kids who can only read upside down and dead rats who try to sneak into class. It’s ridiculous so it’s perfect. DogMan– I’m not a huge fan of graphic novels, especially for beginner readers, but this book gets my son reading in the car, reading at breakfast, and reading outside. So I guess I need to change my opinions of graphic novels since he loves them. And because he doesn’t put the book down. Diary of a Wimpy Kid– Full disclosure. I really can’t stand this series. The main character is mean, rude and an awful friend. But my son loves it. So as he reads, we talk about the character’s decisions and what is acceptable and what isn’t. We talk about kindness often and my son knows this character is a perfect example of what not to do. But when we’re in a bookstore or a library, this is the series he races to find. So, in the spirit of my son reading for pleasure by choice, we go with it. If at the end of the day, our kids are reading and finding enjoyment out of it, then we found them the right books. And that works for me. Even if it does involve exploding toilets and dead rats and mean kids with the cheese touch.